"America’s Trusted Partner for African Giving"
Women across Africa are leading a new era in development. Despite being disproportionately impacted by a range of challenges, their creative initiatives are emerging as the most effective and sustainable solutions. African Women’s Development Fund USA (AWDF USA) understands and supports women’s unique ability to overcome obstacles and develop their own communities, regions, and countries. 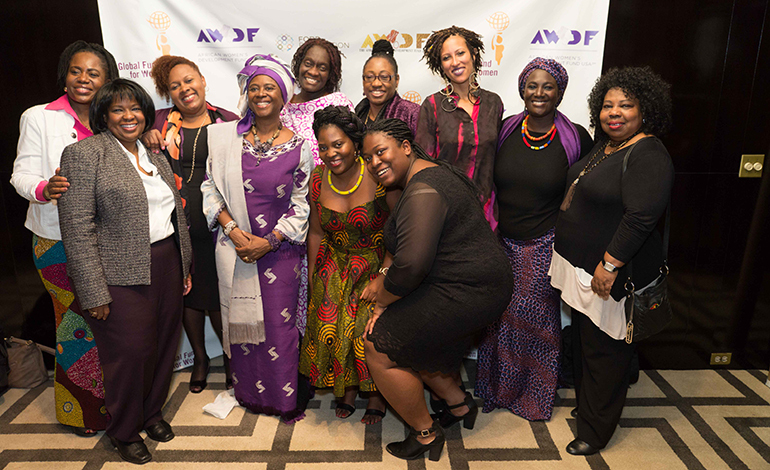 AWDF USA was created by the Ghana-based African Women’s Development Fund (AWDF), with a coalition of American women leaders, to spread awareness about the tremendous impact of African women-led organizations on communities across the continent. Through effective networking, collaboration and partnerships, we are focused on amplifying the contributions, achievements and voices of African women and girls in the Diaspora and across the continent. At the same time, we are facilitating a process to Expand Diasporic Philanthropy, recognizing the incredible impact including financial contributions that Africans and African-descended people around the world continue to make on the continent. AWDF USA seeks to highlight the role of young Africans are playing in philanthropy. As we celebrate philanthropy for Africa by Africans, we will also create space for intergenerational conversations to happen, and through this process merge seasoned wisdom and new energy to push our agenda forward. We are excited and grateful for our partnerships with sister and peer organizations such as Global Fund for Women, Ford Foundation, Africa-America Institute, and New York Women’s Foundation. We are equally thrilled for the opportunities to collaborate and cultivate other strategic partnerships. AWDF USA is proud of the accomplishments of AWDF which since 2001 has provided $34.3 million in grants to 1,323 women’s organizations across 45 countries in Africa and the Middle East.